View More In Brake Cleaners. 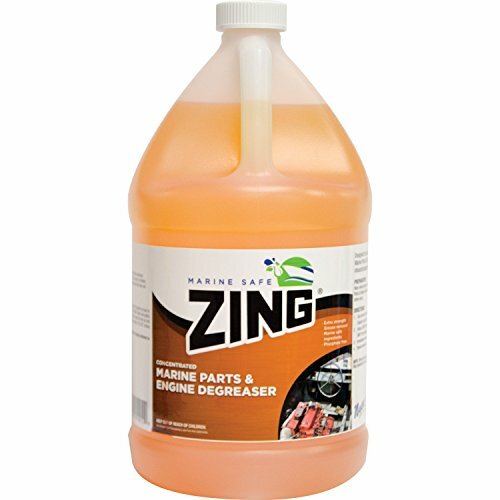 ZING Marine Safe Concentrated Marine Parts & Engine Degreaser provides professional strength degreasing for engine components, drive trains and other greasy areas. Safely removes grease, grime, tar, rubber marks and oily deposits on metal, painted surfaces, aluminum, fiberglass and plastic. ZING Marine Safe Concentrated Marine Parts & Engine Degreaser is pH neutral and will not harm water safe surfaces. If you have any questions about this product by Zing, contact us by completing and submitting the form below. If you are looking for a specif part number, please include it with your message.